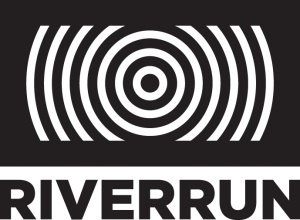 The Mary Pickford Foundation is pleased to participate in the 21st annual RiverRun International Film Festival in Winston-Salem, North Carolina held this year from April 4-14. As a part of their tribute to the 100th anniversary of the founding of United Artists, the newly restored Little Annie Rooney will be screened on April 6 and introduced by the Foundation’s own Elaina Friedrichsen. On April 7, Fanchon the Cricket will be screened with a panel focusing on Modernizing the Silents, featuring Friedrichsen, composer Julian Ducatenzeiler, a Lolipop Records recording artist and front man for the rock band Mystic Braves, and Chris Heckman, Professor of Film Music Composition at UNCSA. © 2019 Mary Pickford Foundation. All Rights Reserved. Mary Pickford ® is a registered trademark and an unregistered service mark of Mary Pickford Foundation. Mary Pickford Foundation is also the sole owner of all rights to use Mary Pickford’s name, voice, signature, photograph, or likeness, in any manner, including on or in products, merchandise, or goods, or for purposes of advertising or selling, or soliciting purchases of, products, merchandise, goods, or services, and use of any of these rights without prior written consent from Mary Pickford Foundation is a violation of law and subjects the unauthorized user to liability for money damages, among other remedies.